Greetings in the Year of the Pig! We hope this year brings many wonderful collaborations. At the Red Room, we are looking forward to more magical moments with new friends, new ideas, and more sharing. We believe that together, we can achieve so much more. change more lives, make more conscious choices, and support one another. 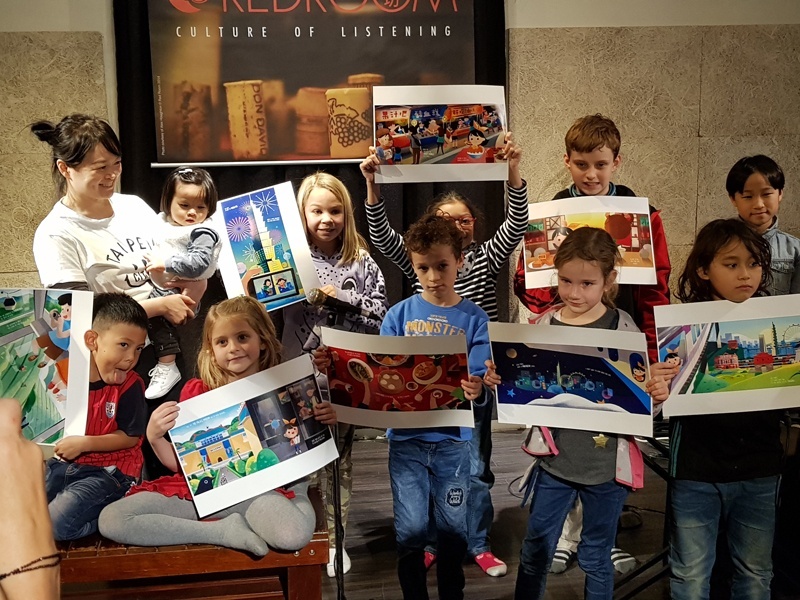 In this month’s Reflections, Carol Yao writes about Stage Time and Juice, Red Room’s family friendly event which takes place every other month. 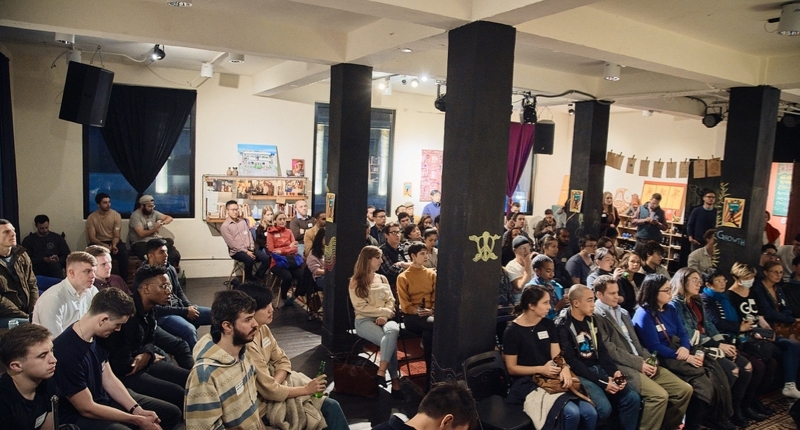 Our intern, Vanessa, shares ideas from the two events hosted by All Hands Down. 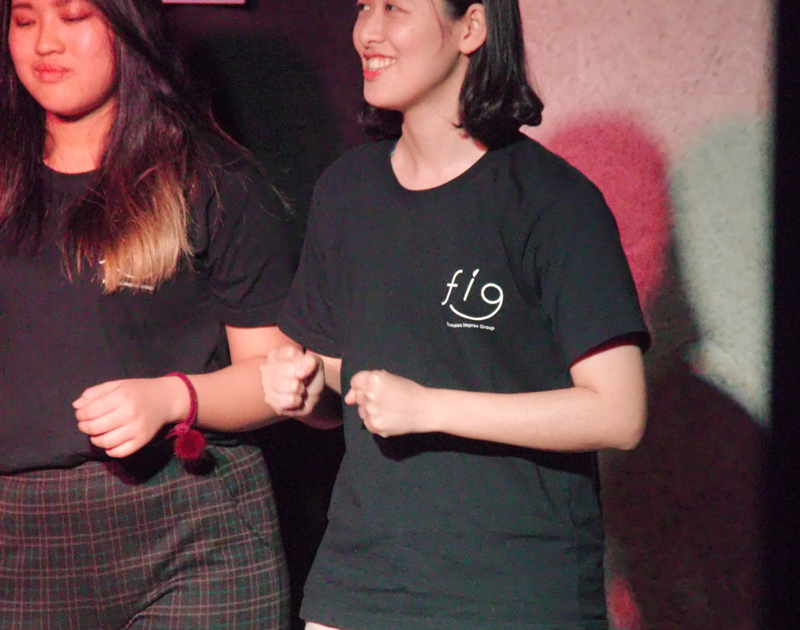 And Michi Fu and Miranda Wang write about FIG, the Improv group that is rocking Taipei. Happy New Year from the Red Room! 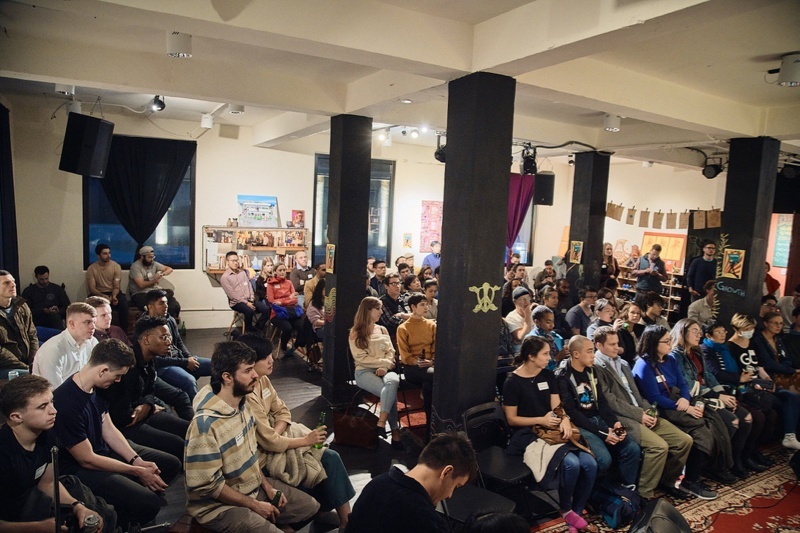 Stage Time and Juice kicked off the new year with a dynamic gathering on Saturday, January, 26. Apart from Kathy Cheng sharing her soon to be published children’s book “Hey Taipei!” with the audience, we were also charmed by a series of open mic performances: a comic dialogue by a mother daughter team, an introduction to the saxophone, acoustic guitar, and looping machine by Jordan, a musician who cleverly arrived in Taipei city just a week before, a young magician’s card trick, an inspired dance performance by Sabrina, and a poem recited by a young lady on her first visit to the Red Room. A castle made of Legos was also carried in on a table. 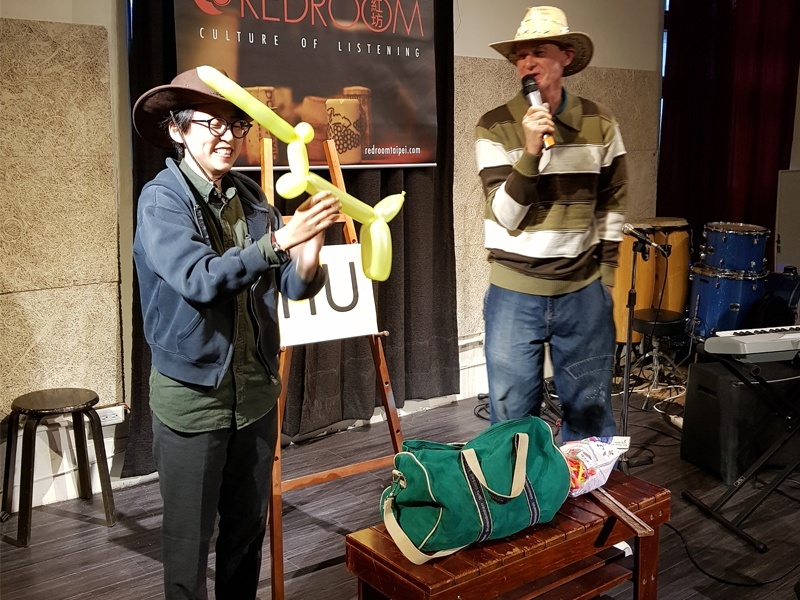 Paul Baker, the Cowboy Clown, accompanied by his cowgirl assistants, Ping and Carol, rounded off the show by teaching the audience how to make balloon animals. The following day, 14-year old Aidan and his teacher, Lego Dai, led a Lego build event. Three time winner of the Pockyland Lego challenge, Aidan opened with a brief Powerpoint introduction of himself. Aidan aspires to become a Lego engineer one day. Both he and Mr. Dai displayed two impressive castles that they had built without using Lego sets. Afterwards, it was time to get to work! 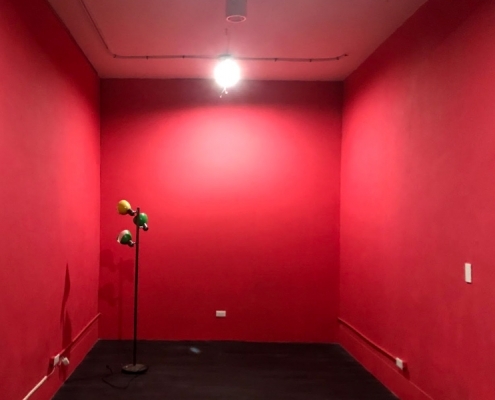 The participants first competed in a one minute challenge to build a tall structure, and then set to work creating animals to be placed inside the Red Room Zoo. 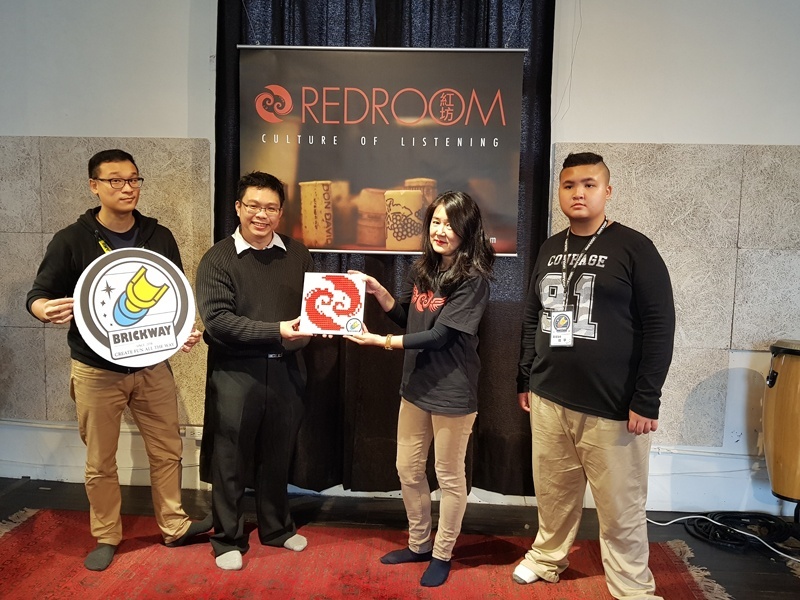 At the end, the Red Room received a Lego version of its logo as a gift from Brickway, a group of Lego enthusiasts that is applying for official status from the Lego corporation in Denmark. Aidan was the actual executor of the logo: it took him half an hour to piece it together. Teacher Lego Dai thanked everyone for giving him the chance to use his rusty English. We will host more fun hands-on workshops in the coming months, so expect to see more of Aidan, Lego Dai, Carol, and Paul the Cowboy Clown. 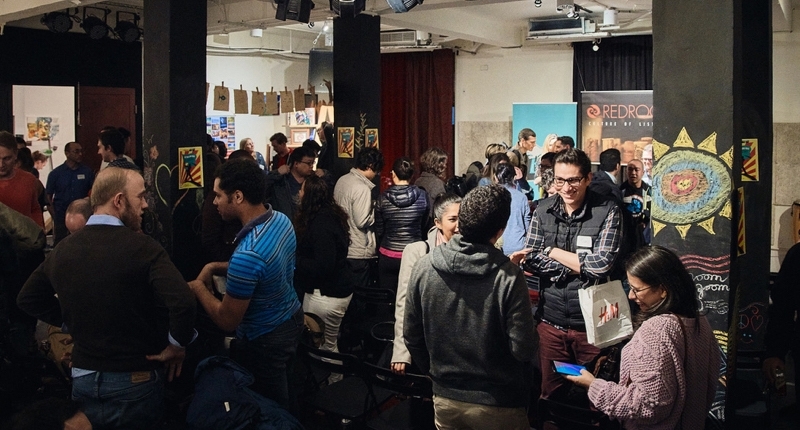 You can check out the photos and videos from the January events on our Facebook page. The next Stage Time and Juice open mic and more show will take place on Saturday, March 16. If you have something you would like to share as a featured guest, please do not hesitate to contact us at [email protected]. 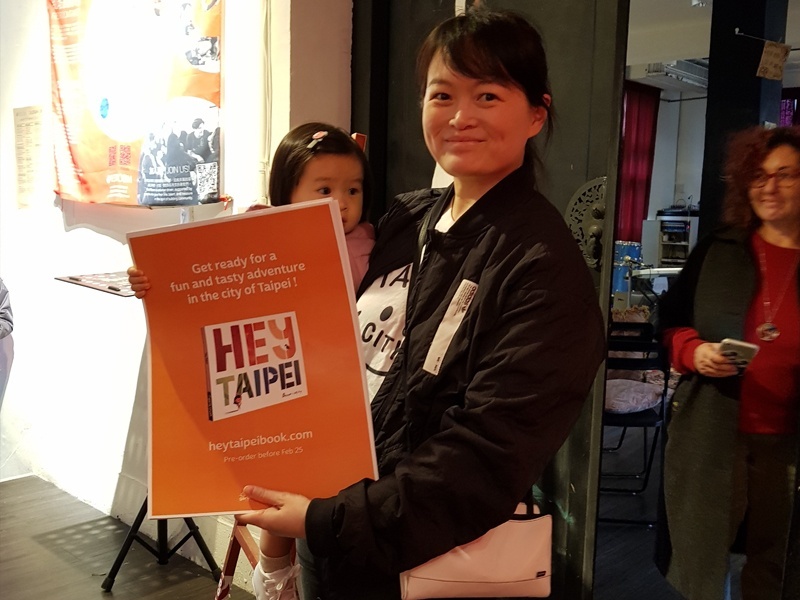 For All Hands Taiwan, this year has started promisingly: A series of events are planned to provide foreign job seekers with insights about Taiwan’s job landscape. 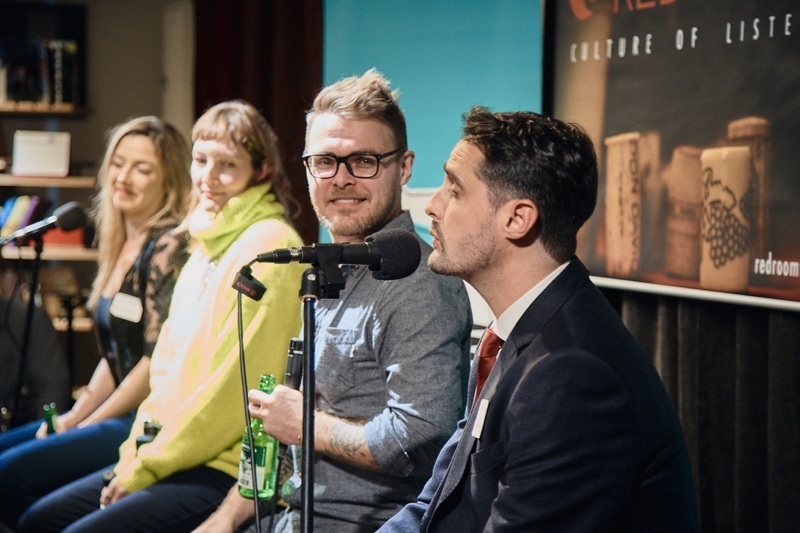 The first two panel-style discussions took place at the Red Room space and welcomed more than 80 listeners coming from various working backgrounds. 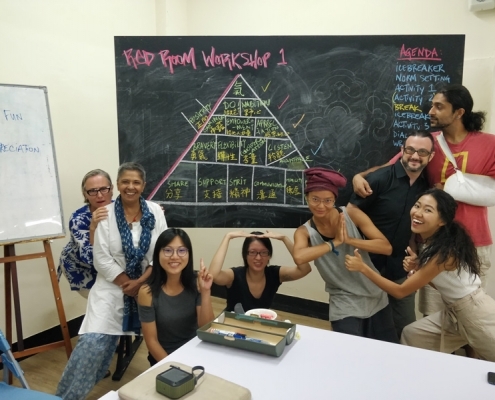 As Taiwan’s foreign community expands, the requests regarding the working environment arises – and All Hands follows their demands to respond and spark the debate about what, where and how to realize their professional needs. 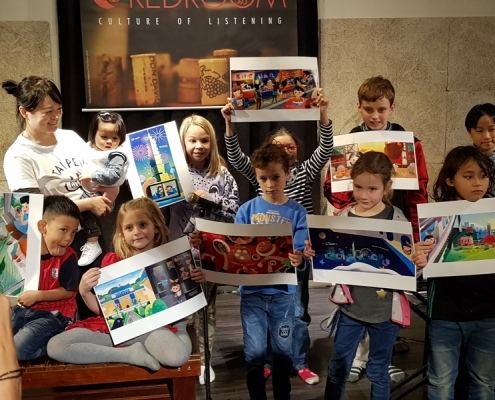 Moving to Taiwan 11 years ago, John Murn worked as an English teacher who then transitioned to a marketing professional. 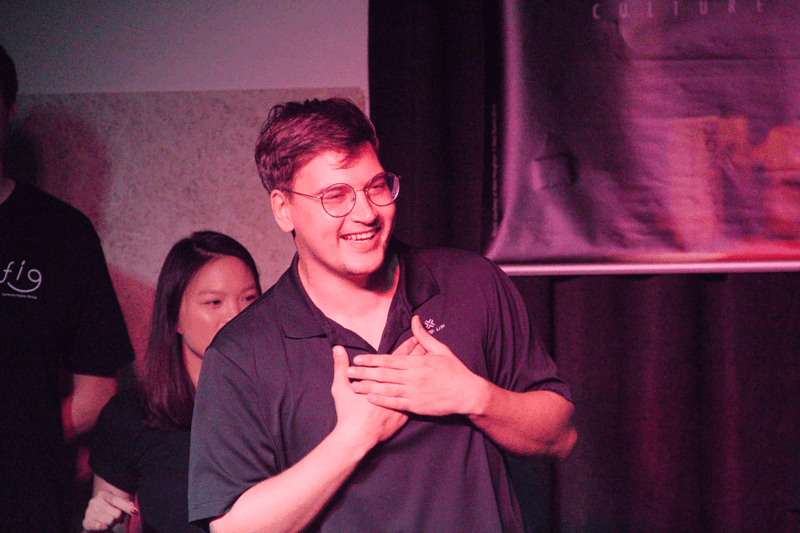 Given the gaps in Taiwan’s foreign employment infrastructure, John has dedicated his volunteer work to establish a platform to provide better resources and networking opportunities for foreigners in Taiwan. His founding partner Daniel Miller has experienced the working life in both China and Taiwan. 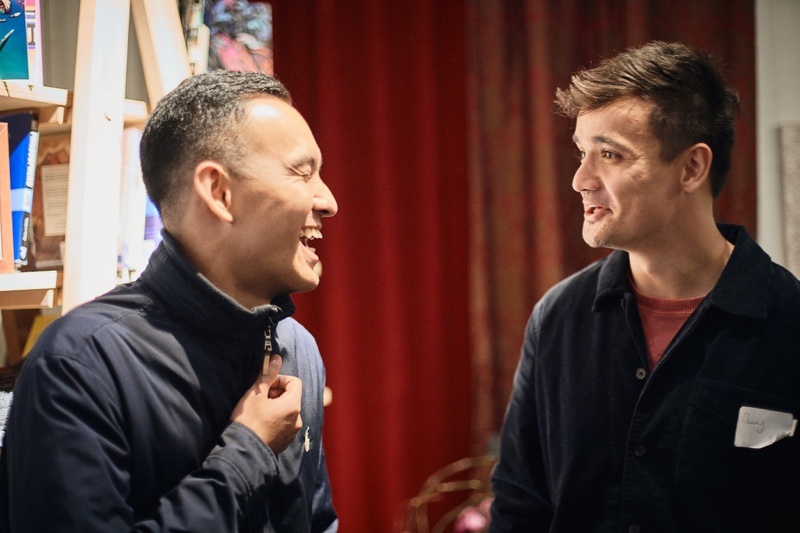 Among other things, Daniel’s work at All Hands aims to support skilled international youth in Taiwan. He sees a great mutual benefit in networking young international talents with Taiwan’s hiring community, which is still far away from exploiting its potential in business relations. How to put yourself in the right spot and maximize your potential of being hired as a foreign professional? The first panel talk “Love Your Next Job” was all about the importance of networking and outreaching. Settling as a foreigner in Taiwan, your job opportunities often remain oblique and it is hard to tell if you are even eligible for that particular job for which you are indeed qualified. 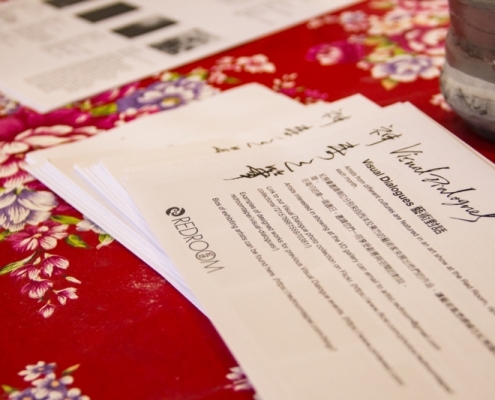 The lack of transparency in Taiwan’s hiring community challenges foreign professionals and at some point, you might ask yourself: Does it even help me to meet all the job requirements if I am not a native speaker or a local after all? “Taiwan will not feed you a job, but it is willing to give you one, if you just try hard enough” – Daniel Miller. You have to try in order to figure it out. 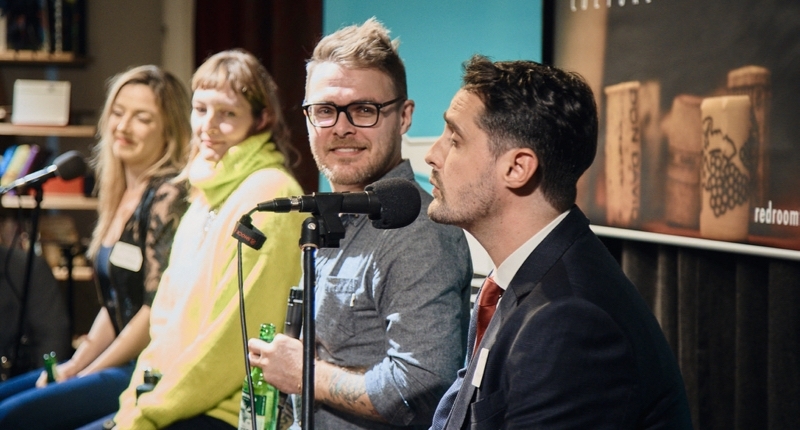 One key message within the panel discussion was the call to be shameless while networking. Just try and shake hands with someone left or right, it might impact your carrier. Be brave, send your application for that one position although you might be turned down, and even if so – do not give up – learn by doing. Besides not limiting yourself when it comes to self-promotion, reconnecting to your clients when you have already pursued a job is essential to be successful in the long run. All Hands puts a lot of emphasis on running that extra mile – getting to know your niche, keeping your customers updated. That particular additional insight you will receive possibly opens up new opportunities and enables you to adjust to sudden changes within your market. With that said, All Hands did not intent to provide their listeners with a general recipe for success about how to build a lasting network, rather giving them a broader perspective of possibilities how to do so – each panel speaker shared an individual strategy of how to reach out, depending on the market and the profession. Three foreign small business owners in Taiwan were engaged in the second panel starting the debate “How to be your own boss”. Setting up a business and running it takes a lot of courage and effort – most certainly even more, if you are a foreigner in Taiwan. One thing is for sure, each business division comes with its own individual challenges to face. Whether it is about legal issues or internal business relations, reaching out to people who have done it before will once again save you time and effort. By planning your project step by step, you will be less intimidated by any kind of barriers and encouraged to take your business to the next level. It is not about being an expert within your business segment, but you should always be up to date and well informed about your niche. How high is the demand? Who are the people who work with you or buy from you? Who is your competition? Knowing your numbers such as how much you are able to burn but also how much revenue you are expecting will keep your business on track and prepare yourself for possible inconsistencies on the long run. Even if there are internal disagreements while figuring out the direction of your business, sometimes it is smarter to let the numbers speak for itself. A profound topic that has come up multiple times during the debate is the fact that being your own boss comes together with treating yourself as an employee in order to succeed. Having the freedom to choose the directions your business is following means you have to drown yourself into the whole work complex. Having knowledge about all your departments and the different jobs will equip you with negotiation skills and empathy for your workers when they are facing frustrations. “Be your own boss doesn’t imply that you are the one boss, rather, you are the one who knows your business the best by learning”, is Jun Lee’s personal take home message from All Hands second panel discussion. Formosa Improv Group (FIG) is a bilingual improv troupe comprised of Taiwanese and international members (United States, Sweden, Denmark, Spain, and Costa Rica) who explore how to communicate respectfully across cultures by experimenting with the truth in comedy (Close, Halpern & Johnson, 1994) in English, Mandarin and Taiwan (and sometimes other languages). 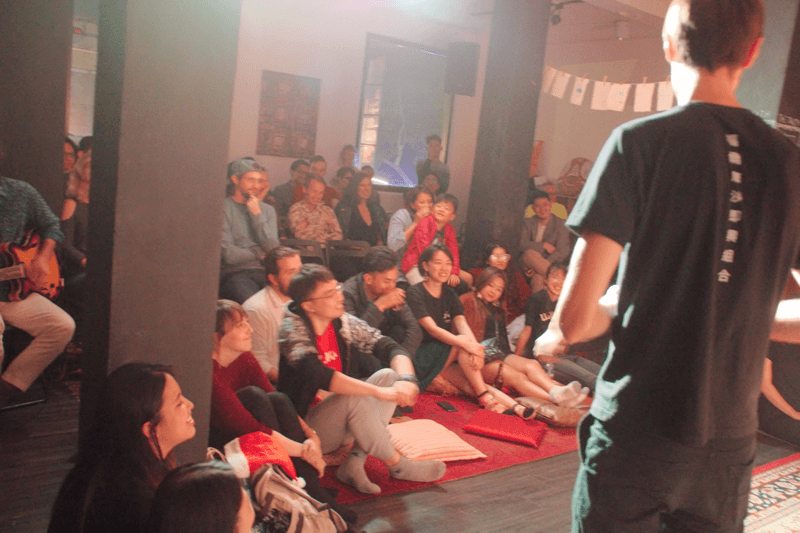 FIG was formed in summer 2018 when a handful of hopefuls would gather at (and sometimes get kicked out of) various MRT stations to play improv games together. 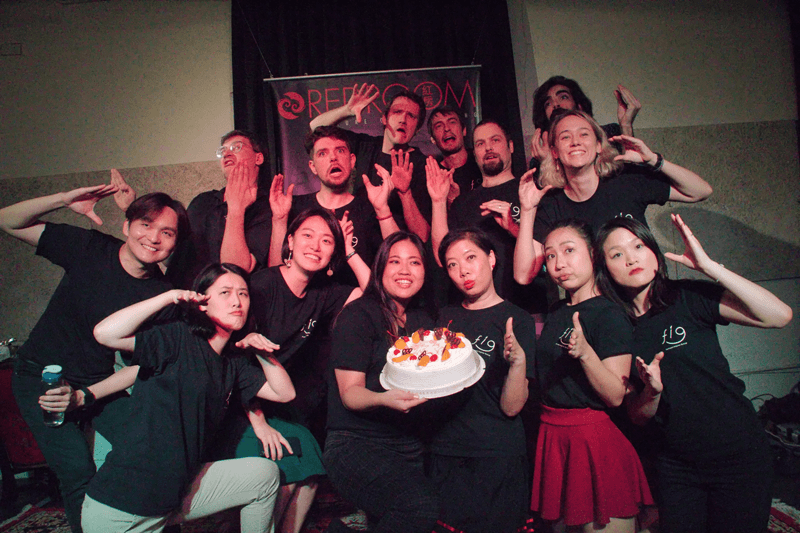 At that time, the Facebook group “Improv in Taipei” served as a vehicle for occasionally bringing in new players curious to play improv together. 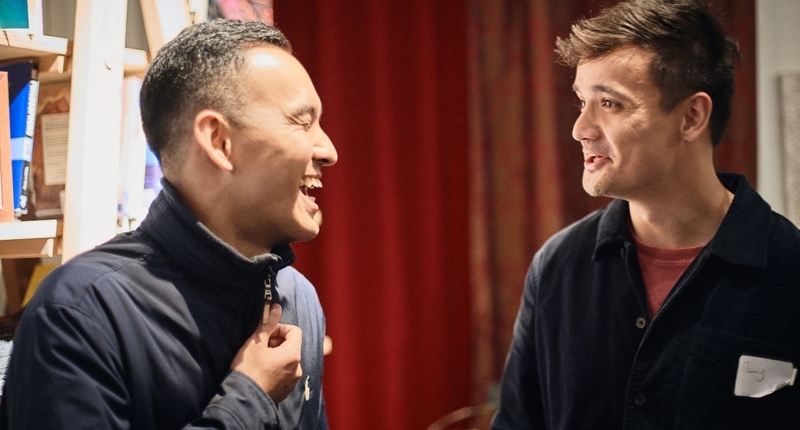 Some more seasoned actors of the bunch would share their passion for improv, even bringing in visiting guest artists and instructors from other countries (such as Singapore and China). Eventually, 15 founding members would take a risk by calling themselves FIG performers before knowing what path lay before them. 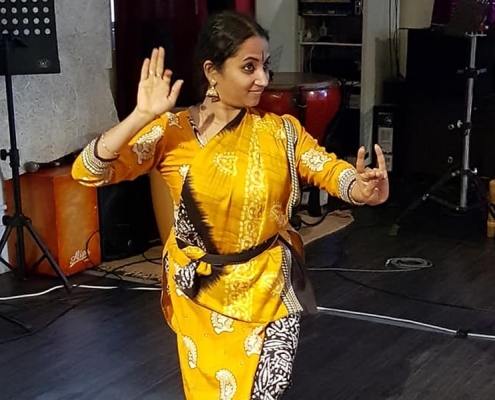 FIG had its debut performance at the Red Room on September 29, 2018. 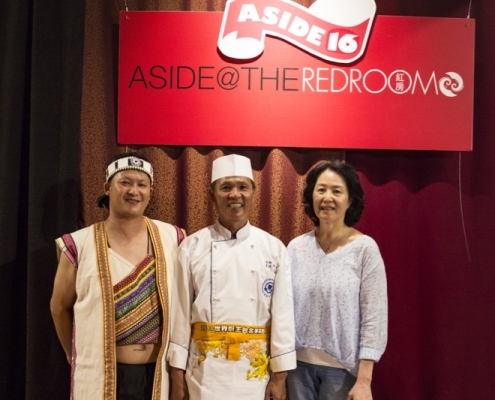 Since then, FIG has been fortunate to call Red Room its most generous sponsor for hosting Monday night Open Practice Workshops for community members who wish to practice cross-cultural communication and play through the magic of improvisation. FIG would also like to recognize our latest sponsor, Oomph Gallery, for hosting our December 2018 & January 2019 after parties. 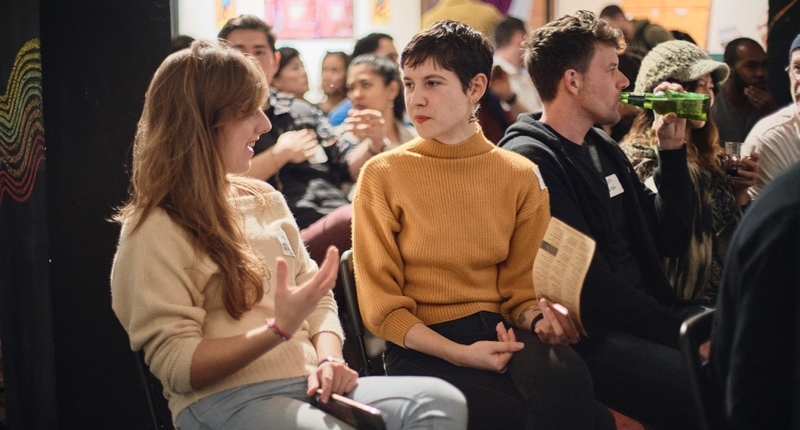 Please come to our February 23, 2019 show at the Red Room (after party immediately following at Oomph Gallery), Stage Time & Juice sequel on March 16, 2019 or our next mainstage show on March 23, 2019 at the Social Innovation Lab. For FIG Fans who wish to support us at the Manila Improv Festival, you are most welcome to join us in our international debut March 28, 2019. 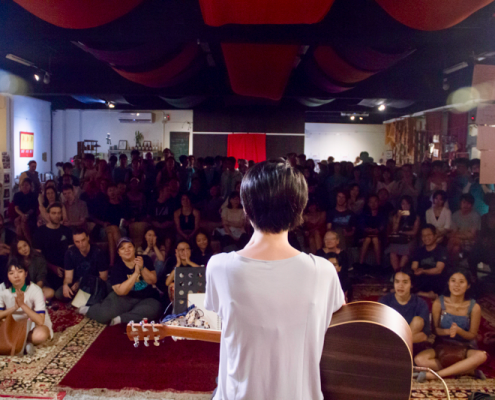 In 2018, FIG performers successfully stepped up to the challenge of musical improvisation for the first time at the Red Room with grateful and joyful spirits. 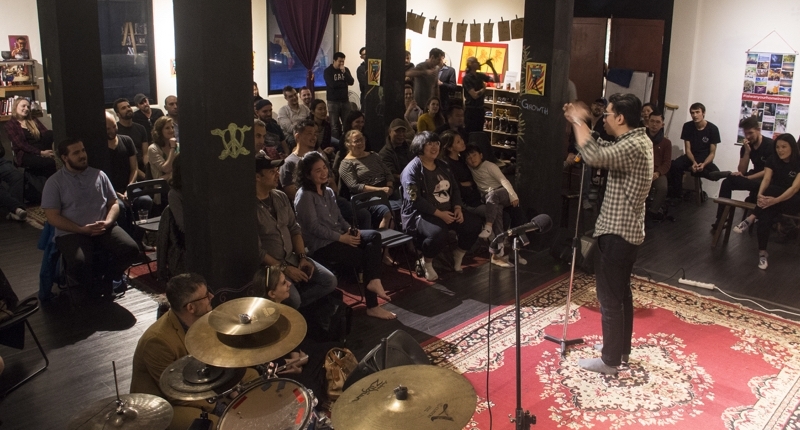 This was FIG’s first time inviting audience members to offer pay-as-you-value donations (which will help send our team to the Manila Improv Festival in March 2019). FIG welcomed our newest member, Hugo Be Hache, who began as FIG’s accompanying musician. 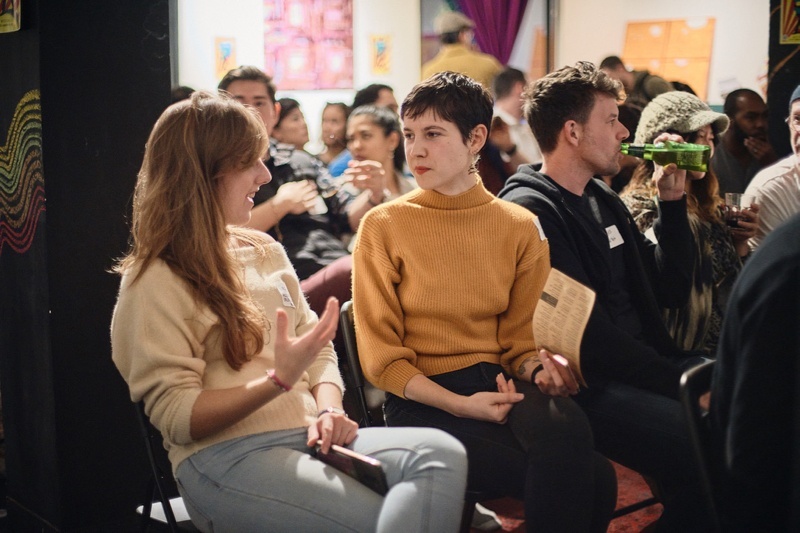 FIG core members stepped up to the challenge of musical improv in December. During the musical improv show rehearsals, FIG was fortunate to welcome guest improv instructors whom provided excellent direction. 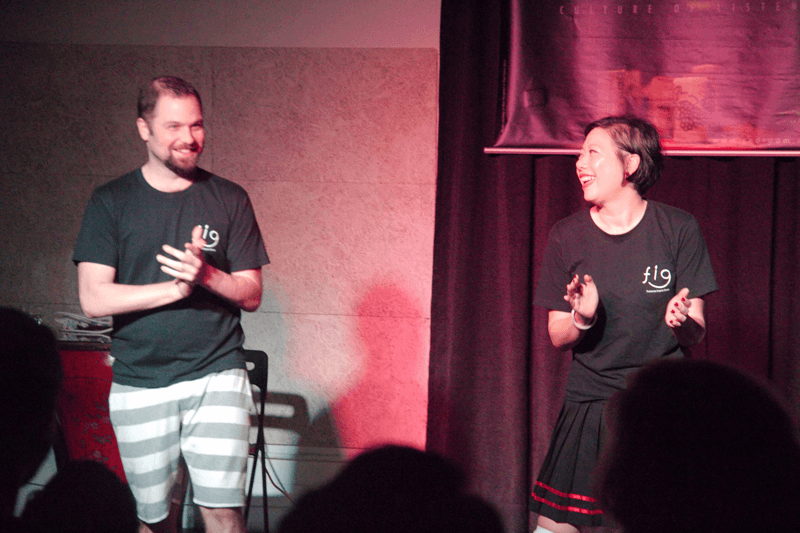 Jesse Appell from the China-US Comedy Center in Beijing and improv actor, Sonia from Xiamen, assisted FIG in musical improv rehearsal guidance. Thank you to our audience members for warming up with us with vocal exercises at the top of FIG’s first musical improv show. We hope you enjoyed our debut song, “Mistletoe.” Thank you for giving us inspiration and courage to let us create several scenes together. 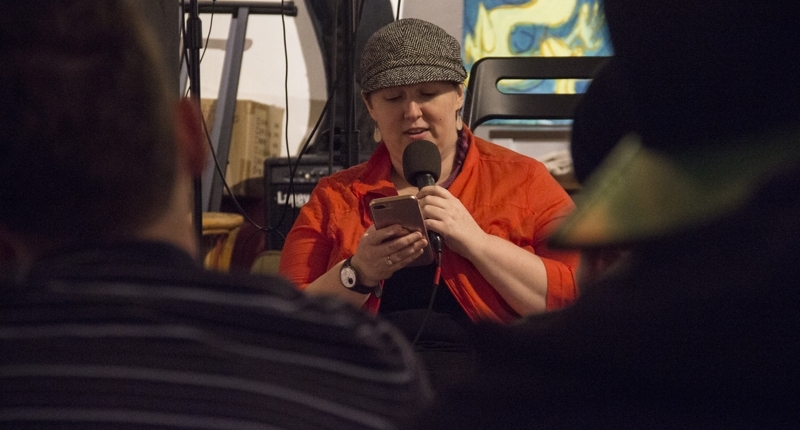 In the first half of the show, stories of breeders, babies and robots from the overpopulated Little Fart Town and how order was finally restored were sung. After the intermission, FIG was grateful to audience member, Teresa, for sharing details about herself, which inspired FIG members to sing her a song of admiration. During the second half of the musical improv show, Peach Village’s crab inventor was on a mission to turn the townspeople into crabs. 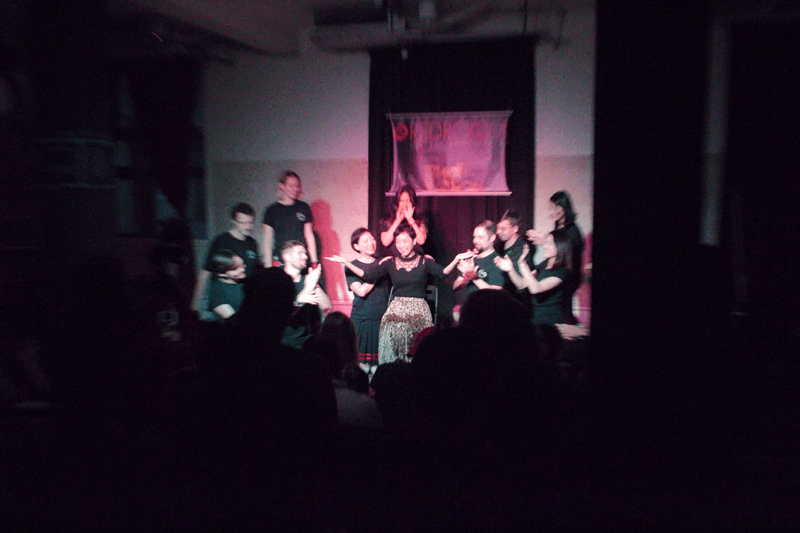 Many thanks to all the audience members who participated in our show, making each improv performance unique by co-creating the plot with FIG. 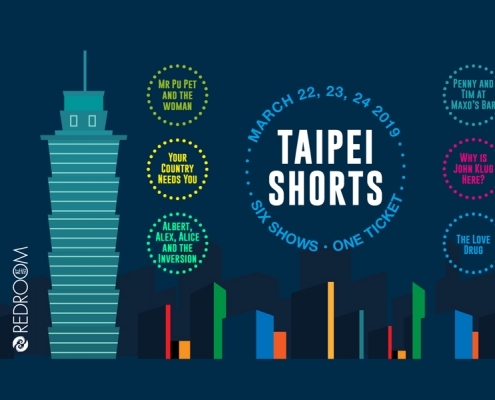 At the end of March 2018, FIG will participate in the Manila International Improv Festival to represent improv in Taiwan. 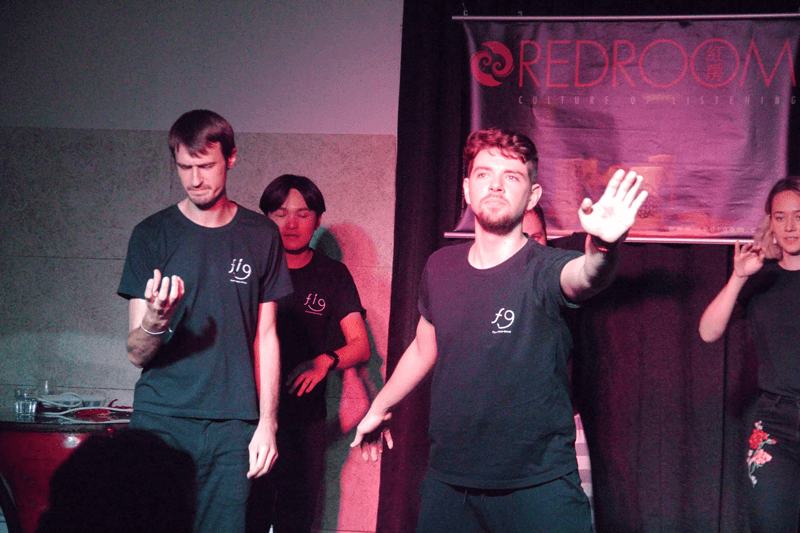 FIG will do our best to showcase our bilingual improv skills on an international stage. We hope that our performances will make you laugh, offer comfort, and help you think about things in a different way. 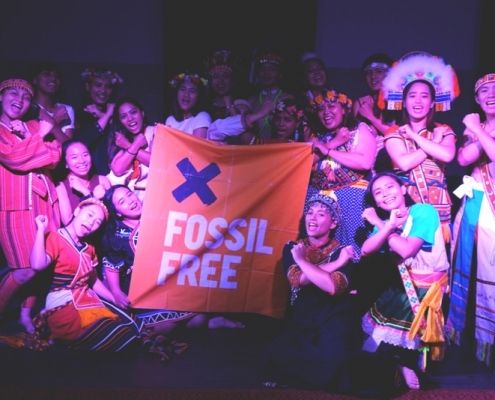 We also hope that everyone continues to inspire FIG with your suggestions and presence during our shows and workshops. Happy year of the FIG!